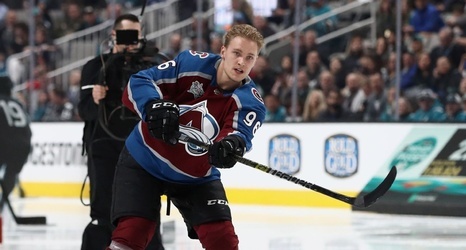 SAN JOSE -- Mikko Rantanen roamed the grounds of Scott McNealy's $100 million mansion in Palo Alto, California, on the Friday of NHL All-Star Weekend. He saw the indoor gymnasium adjacent to the den, complete with a rock climbing wall. He saw the three-hole golf course on the lawn near the visitors' entrance. He saw the on-site hockey rink housed a few hundred feet from the majestic outdoor patio -- the rink McNealy used to have covered with a temperature-controlling dome until neighbors located a mountain away complained about the sun glare. The Colorado Avalanche right winger was at this mansion, owned by a massive hockey fan who is the co-founder of Sun Microsystems, as a part of EA Sports' streaming event built around the All-Star Game in San Jose.